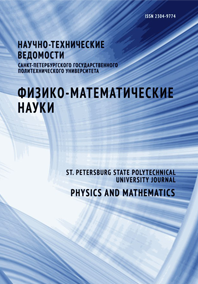 Chulyaeva Elena G. Ognev Boris I. Kuznetsov Sergey N.
The problem of organization of a wireless optical multi-node network (MANET) between surface ships has been considered. This type of connection can be an alternative to the classical radio message. The advantages of optical communication are faster data transmission, high security and immunity to interference. The goal of the work is creation of computer model of such communication network, a choice of an algorithm of the organization of logical network infrastructure and determination of the main technical requirements to optical communication terminals. The software “The emulator of a wireless optical network” was developed for simulation of the network of the moving surface ships. For the organization of a communication network the well-known algorithms of discrete mathematics (such as the Kruskal algorithm) were used. The simulation of the network was carried out; technical requirements to optical communication terminals as an element of the specified network were formulated.